If you have absolutely no idea what I’m talking about, you’ll want to check out The Order of the Eastern Star: A Primer. We meet Martha a second time in the Gospel of John. This is definetly one of the more famous stories of the New Testament, and where the story used for Martha’s star point comes from. Mary and Martha’s brother, Lazarus, fell quite ill at one point. The sisters knew that Jesus was near, and they sent a messenger to him, to let him know of the illness. Jesus chose to send back a vague reply, afterwhich, Lazarus died and was buried. Four days later, while they were still grieving, they heard that Jesus would be returning to their city. Martha rushed out to meet him, and said, “Lord, if you had been here, my brother would not have died. But I know that even now God will give you anything you ask.” Jesus then said to her, “Your brother will rise again.” To which Martha replied, “ I know he will rise again in the resurrection on the last day.” Jesus said to her, “I am the resurrection, and the life. He who believes in me will live, even though he dies; and he who lives and believes in me never dies. Do you believe this? (Traditionally, “Believest thou this? )” Martha replied that she did, and Jesus took her to her dead brother’s tomb, and told her to open it. He then called out to Lazarus, who walks out of the tomb, alive again. We see Martha one last time, later in the book of John, where she serves a meal held in the honor of Jesus and her brother. Although it is broken up into a few pieces, there is a glaringly obvious lesson taught by Martha; that of faith. Martha kept faith in Jesus, even after he did not appear when they called to him, even after the death of her brother Lazarus. Although Martha is a New Testament heroine, it cannot be denied that the lesson can be brought to all other walks of faith as well. Not so much that you should have faith in Jesus, but more that you should have faith in something, especially something that is more than yourself. While holding steadfast onto faith in an hour of dire need can be quite trying, it often makes of a better outcome. An oft quoted reason for choosing Martha, was that it was known that the majority of OES members would be homemakers like Martha, not dreamers like her sister Mary. Martha was shown multiple times worrying about the state of the household, and serving guests in her home. Personally, I feel that Martha is the most relatable of the star points. Maybe we haven’t all lost our husbands, or been forced to give up our religion, but I would imagine that most all of us have had a time where our faith, in anything, was questioned, and maybe even faltered. Martha serves as the reminder for how important it can be. To the saddened ones bring hope and cheer. And the light of an eternal morn. Ours at last when our Life’s day is done. So, we know at this point that women cannot become Freemasons, right? Well…not exactly. There are a number of different organizations that allow women to become Masons. This does, unfortunately, come with numerous stipulations, and tends to be a very hot button issue for many members. By this point, you should be fairly familiar with masculine, or “regular” Masonry (If not, learn more here). These Lodges are easily identified because they only allow men, who believe in a higher power to become members. There are, however, two other types of Masonry out there. Feminine Masonry, as you might have guessed, allows only women to become members of their Lodge; they may or may not have a belief in a higher power as a requirement of membership. The third type is commonly called Co-Masonry, or “mixed” Masonry. These Lodges admit both men and women to join their ranks; they may or may not have a belief in a higher power as a requirement for membership. The how and why about all of this can be a bit confusing, so we will kind of start at the top, and work our way down. Usually, when you think of Masonry, you think of masculine Masonry, the kind that only admits men. These Lodges are sometimes referred to as “Anglo-American” due to the locations where they are most prevalent, and fall under the jurisdiction of the United Grand Lodge of England (aka UGLE) This is who all of the state Grand Lodges, such as the Grand Lodge of Nebraska, or the Grand Lodge of Maine, answer to. 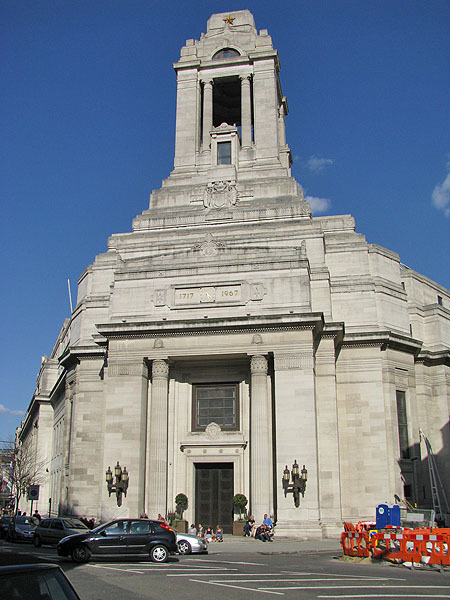 UGLE claims to be the oldest Grand Lodge in existence, stemming from the first Grand Lodge in 1717. They work side by side with the Grand Lodge of Ireland, and the Grand Lodge of Scotland, to bring us the type of Freemasonry that many of us know and love. However, the beginnings of Freemasonry could never be so cut and dry. The issue was that many different people in many different countries wanted to do the same general thing, but had vastly differing opinions about how it should be done. In addition to this, communication across countries was not exactly as fast in the 18th century as it is today. Around the same time that UGLE was established, came the Grand Orient de France, or GODF. It arose from the ashes of the Grand Lodge of France, which can trace itself back to 1728 or so. The Lodges that fall under the GODF have many different names to distinguish themselves from the UGLE Lodges, and are most commonly referred to as “continental” Lodges. The UGLE Lodges have some not so great and often confusing names for the GODF lodges, usually “irregular” or “clandestine”. These Lodges tend to be much more common in Europe. Instead of Grand Lodges, the jurisdictions for GODF Lodges are called Grand Orients, which, despite the name, has nothing to do with the Shriners. GODF. along with the Grand Lodge of Belgium, the Grand Orient of Belgium, Le Droit Humain, and the Grand Loge de France, all share one thing that separates them from UGLE- none of them require belief in a higher power. After GODF was created, they began a system of Lodges of Adoption, which I have discussed previously. Basically, the idea was that a male only lodge had a parallel lodge that was attached to them, specially for the wives and sister of the male Masons. These Lodges had a four degree system: Female Apprentice, Journeywoman, Mistress, and Perfect Msasoness. Sounds pretty similar to the three degrees in Blue Lodge, right? 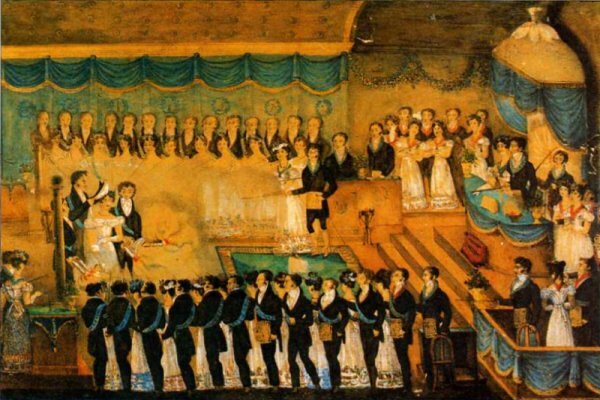 The idea spread like wildfire across 18th century Europe, and soon the degrees had stretched to 10, and eventually adopted all of the Scottish Rite degrees to their liking. GODF decided that these lodges were unconstitutional in 1808, and were re-instated in 1901. Finally, they broke off in 1935, and became Grande Loge feminine de France. Their lodges spread to Belgium in 1974, and the Grande Loge feminine de Belgique was formed in 1981. In 1882, a woman names Maria Deraismes convinced a French Lodge to temporarily succeed from its Grand Lodge to initiate her. After she took her third degree, she demitted, allowing the Lodge to re-join the Grand Lodge. She was a well known woman’s rights activist, and by 1893, had found 16 other women who wanted to become speculative Masons. That same year, she established her own Lodge, that allowed both men and women to join. This Lodge has now become one of the largest mixed Masonic organizations in the world, Le Droit Humain. In 1902, many English Masons were alarmed by the changes that were being made to Masonry by those in Paris. Many chose to abandon ship, and retired from their Lodges in order to create a new Grand Lodge, the Honourable Fraternity of Antient Masonry. When the current Grand Master chose to leave to start anew, a female Grand Master was elected in his place. Throughout the years, more and more male members left for other pursuits, while more and more female members joined. In 1935, the last male left the organization, and since then, it has been exclusively female. They changed their name to fit this in 1958, to the Order of Women Freemasons. There are many Masonic organizations out there that allow women that I have not mentioned here. The number one piece of advice that I can give about being a woman, and wanting to become a Mason is this – do your research. Find out as much as you can about where your prospective Lodge comes from, and what organizations it belongs to. There are a number of lodges out there that exist only as scams to take your money, and bestow fancy titles upon you. This is not Masonry, this is just a scam. Like masculine Masonry, many mixed or feminine Lodges will have nights where prospective members can come and check it out, and I would encourage you to do so. What happens at a mixed or feminine Lodge that makes it so different? They allow women to become members, and usually do not require a belief in a higher power. Other than that, they tend to operate exactly the same as masculine Lodges. No, seriously, that’s it. This I will be saving for next week, since it tends to be such a heated issue, and this is getting legnthy as is. Tune in next week for the conclusion of An introduction to Non-Masculine Masonry. As always, have a great week! French Masonry is a little bit different from what we have here in the states, and even what there is in the UK. This was especially true in the middle of the 18th century. During this time, Freemasonry was beginning to spread throughout the country, from England. While France did follow all of the rules placed by the Grand Lodge of All England, the precursor to UGLE, there was one that they did feel needed a bit of bending. In England, women were not allowed to become Masons, nor were they allowed to attend the banquets or religious services put on by them. France felt that this was a little unnecessary, and they allowed women to attend these events. As the number of women attending the events grew, so did their want for an organization of their own. There was a separate lodge created, called the Lodge of Adoption. The idea was quite simple, the women would have their own sets of degrees, and were held to similar standards as the regular Masons. However, a Lodge of Adoption could not exist without a supporting, and perhaps governing, regular, masculine Lodge of Masons. 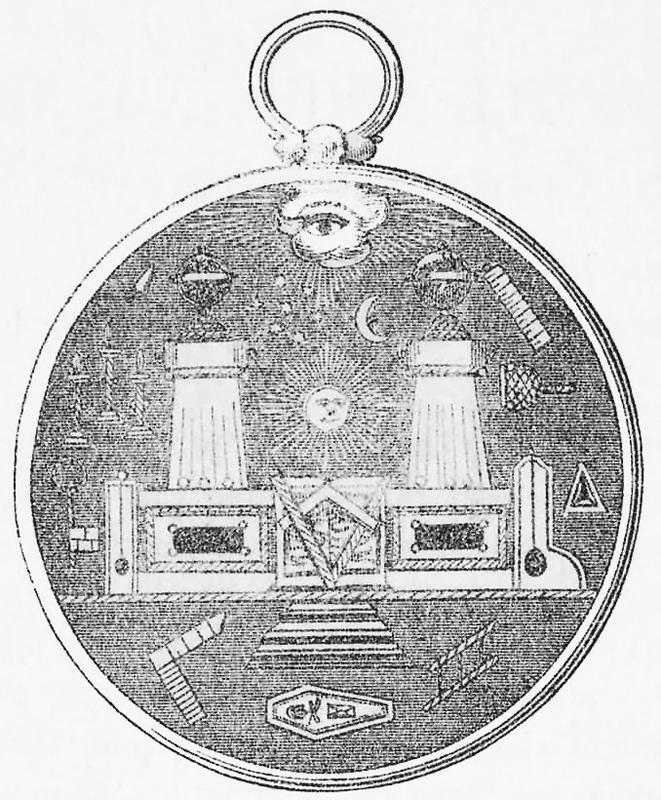 Soon after their inception, the Lodges of Adoption came under the jurisdiction of the Grand Orient de France (France’s version of UGLE), who decided that they were consitutional, then unconstitutional, then consitutional, then eventually, they made up their minds and decided that they were unconstitutional. The Lodges of Adoption eventually formed their own jurisdiction, Grand Loge feminine de France. The creation of the Lodges of Adoption were the beginning of what we call co-Masonry today. Shortly after the Lodge of Adoption had been established, although, the exact date is not known, a Lodge in Paris known as The Lodge of Freres-Artistes, or The Lodge of Artist Brothers, was preparing to open to give a Fete of Adoption, the ritual that opened the Lodge of Adoption, and initiated new women into the Lodge of Adoption that was associated with their Lodge. Before they had opened to receive the women, however, they opened a regular Lodge in the first degree to take care of some other business. As you may or may not know, during the opening of a Lodge, a call is put out for any visitors. Indeed, this Lodge did have a visitor, a young man in a Calgary captain’s uniform. The asked for his certificate, his way of them knowing that he was who he said he was, and he handed it over with little hesitation. 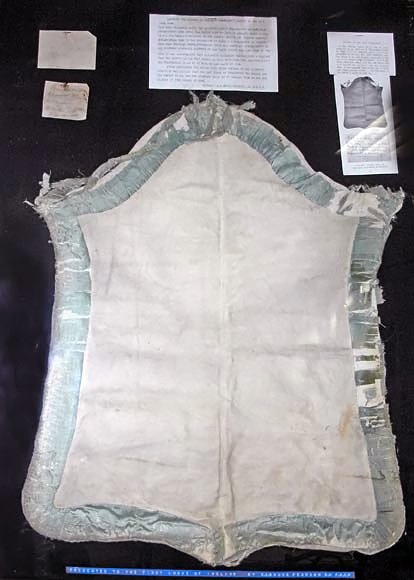 It was folded when he handed it to the Senior Deacon, and remained folded until it was passed to the Orator of the Lodge. When the Orator opened it, and read it aloud to the Lodge, they became very excited, and declared that the Captain should be conferred the first degree at once. More on why in a moment. The French Revolution. Not a happy time for anyone. And so, the initiation took place, and Madame de Xaintrailles became a very active member of her Lodge. Just so you know what’s going on down here, I’ve been asked a few times where I get this information from. I am going to do my best to cite work where I can, so that if you would like to read more on the topic, you can. Let me know if there are any questions. Did you know that there has been five women inducted into masonry*? While not well known, and seemingly never talked about, all five of these women became Freemasons before the existence of co-masonic lodges. Interestingly, though, perhaps not surprisingly, there is no record of women becoming regular masons since co-masonic lodges were invented. 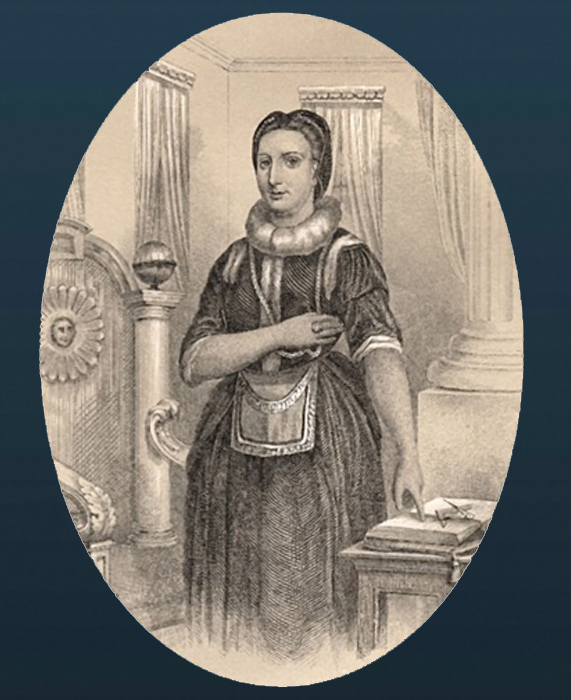 I would like to speak about each of them in their own due time, so, it makes sense to start with the first recorded woman to join a regular masonic lodge, the Honorable Elizabeth Aldworth. 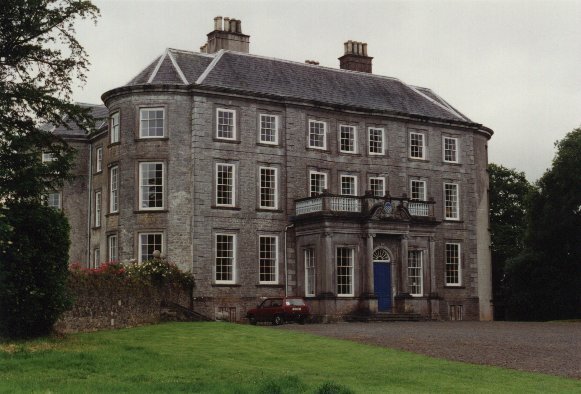 In or around 1711 (Some accounts say as early as 1710, some as late as 1712), Arthur St. Leger, 1st Viscount Doneraile, was holding lodge in his home, to confer degrees, as well as take care of other masonic business. His home was undergoing some renovations, I believe they were repairing some of the walls. Wanting his home to be presentable for his brethren, the bricks for the walls were stacked up hastily, particularly in the wall that adjoined the lodge room to the house’s library; we’ve all been there, you have company coming over, and you want your place to look nice, you do something to make it look nice, and hope that no one accidentally bumps into it and realizes its not as nice as they believed. Don’t trust these brick walls. Before the lodge meeting had begun, Arthur’s daughter, Elizabeth, was reading in the library. Eventually, she dozed off; while she slept, the lodge meeting begun in the room next door. Elizabeth was awoken by voices at one point, and, realizing it was not just her father having friends over for drinks, decided that she wanted to know more about what was going on in the next room. So, she did what any curious young woman would do- she put her ear up to the wall, hoping to hear more. When that failed (bricks are not easy to hear through), she realized that the bricks in the wall were loose, and decided to remove one of them in hopes of spying on the men next door. She was silent, captivated by the degree work going on for some time, supposedly observing the majority of the ceremony. It was only after the candidate received his obligation that she realized the weight of what she had just witnessed, not only for the candidate, but also for himself. Elizabeth realized at this point that she should probably leave the library. Unfortunately, there was only one exit from the library, which was into a hallway that shared the only exit to the lodge room. Knowing that she would not be able to hide in the library forever, and believing in her abilities as an 18th century ninja, she decided to go for it. As soon as she opened the door to the library, she bumped into her father’s butler, who was serving as Tyler, sword and all, causing her to scream and faint. The Tyler altered the men to her presence, and after she was revived, with a little questioning the masons discovered that Elizabeth had witnessed almost the entire degree. After much debate, the men decided that the best solution to this, was to induct Elizabeth into masonry, herself receiving the degree that she had just witnessed. She was initiated that evening, with the lodge being presided over by her father, as well as her brother, and future husband. She was probably around 17 at the time. Elizabeth did not take the role of mason lightly. She had a full masonic costume, as well as her own apron and jewels. She also wore a small trowel on her left shoulder, often. She was known for her charity. More than that, however, is difficult to be known. It is said that she sat as Master of her lodge, but this cannot be confirmed. Early in her masonic career, she admitted to only having received the F.C. degree, however, she may have received the information of the master mason degree at the same time. There is more issue with exactly which lodge she was a member of. On her tombstone, and on many accounts, she is notated as being a member of lodge no. 44, however, this lodge was not charted until 1735, which does not match up with the rest of the accounts. There have been a number of attempts to ascertain which lodge she was a member of, but they have all been in vain. It very well may have been a private lodge, or perhaps the numbers were just mistaken throughout the years. What we do know for sure, is that she did exist, and she was in fact, the (first) lady Freemason. Elizabeth passed in 1775, her story, however, story is incredibly well documented. This is a pamphlet that was made of her biography after her death it was printed in 1860, and was actually a reprint of the original, which was published in 1811. 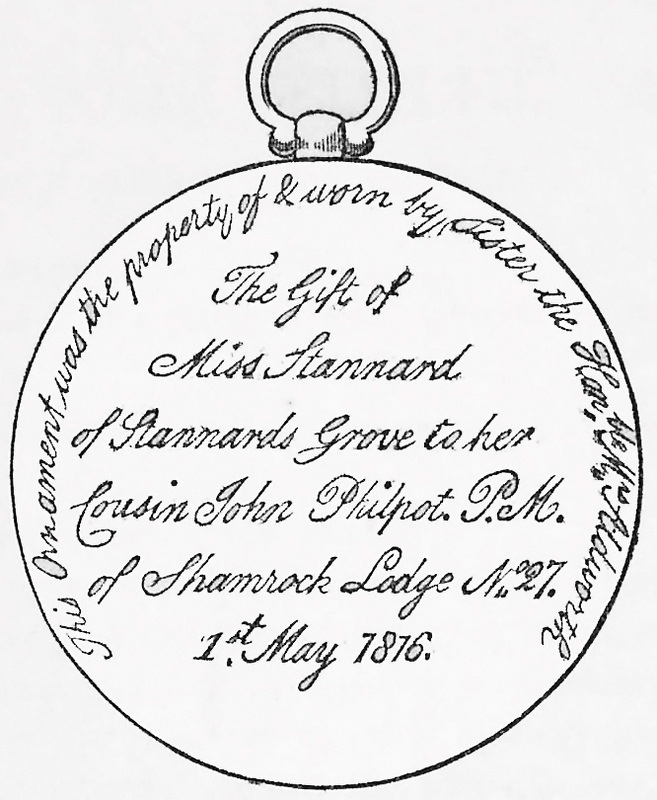 Both her apron, as well as her jewel currently reside in the Provincial Grand Lodge of Munster. I think the coolest part- Elizabeth’s apron. Four other women have been initiated into regular masonry- all more or less by the same method- hide somewhere you shouldn’t, view the degree work, get caught, and have the men decide they have “no other choice” but to make you a mason. I am curious then, when exactly the bit in the obligation came about, where it states that a mason will not knowingly make a woman a mason- I found that obligations started around 1735, well after our dear Elizabeth became a mason, but who knows what it included at that time. There were women that were made masons after the inclusions of the obligation, so the bit about not making a woman a mason may not of come around under later. I would not, however, recommend this to any woman that wishes to become a mason- I cannot imagine they will go this route these days! *It is worth noting, that this incident occurred before the unification of the Ancient and the Modern masons, so the use of the word regular here is not truly appropriate, this is not the case however, for the later women iniated into masonry.